Today there is much talk about countries devaluing their currencies in an attempt to make their exports cheaper and thereby boost their economies. Here in our country we have another serious devaluation going on, that of citizenship. Citizenship does not entail “rights” properly understood. Rights are those things which every individual possesses by virtue of being a part of the human race as they come, as Jefferson stated, from our Creator and are therefore inalienable. Government, therefore, can neither grant nor take away rights (although tyrannical governments can and do restrict them). Citizenship is an honor that governments bestow upon those individuals who meet the requirements that the civil society has set forth. Civil societies, according to John Locke, are formed when individuals band together and agree to defer some of their natural rights to the group (i.e., government) so that they may exist in an orderly and peaceful fashion. 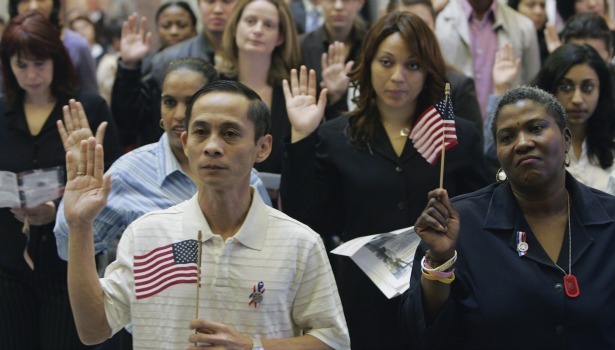 Becoming a citizen, then, carries with it certain privileges and responsibilities. Some responsibilities, for example, fall upon both citizen and non-citizen alike. For example, paying taxes to the government is a responsibility of both classes of individuals within a society as both groups benefit from the actions of government (protection from invasion, personal injury, etc). However, privileges are those things reserved for citizens alone. As we approach the upcoming pivotal election this fall it is important to bear in mind that one such privilege is that of voting. Contrary to what many may believe, there is no such thing as “the right to vote” because voting is an act granted by government, not by our Creator. Therefore, voting is a privilege that comes with the honor of citizenship and if one has not met the stipulations for earning citizenship they have no claim on being allowed to vote. In a free society, voting is the means by which those who have banded together to form that civil society determine how they, as a society, wish to be governed. Those who are not yet citizens have no allegiance to the group and are, in effect, loyal only to themselves. Consequently they should have no say in how those who do should be governed or to what they should be obligated. Such is the reason why it is critical that the integrity of the vote be upheld and that proof of citizenship be mandated for those who go to the polls to cast their ballots. However, those on the left have completely misunderstood this basic concept of the nature of citizenship and are pushing for open elections – i.e., granting all inhabitants within the boundaries of our land this privilege. California has recently passed legislation that will permit illegals (non-citizens) access to the voting booth. Such action devalues citizenship, for if this privilege is not restrictive, then of what use is citizenship? If citizenship is not something to be valued and held to be a distinctive identifier of those within a country, then how can a civil society be maintained? The answer is there is no value and civil society will eventually splinter into sundry parts, each vying for their own special benefits rather than the good of all society. In such a circumstance America (or any country) will cease to be a country. Finally, voting is one of the privileges of citizenship that also falls into the realm of responsibility. 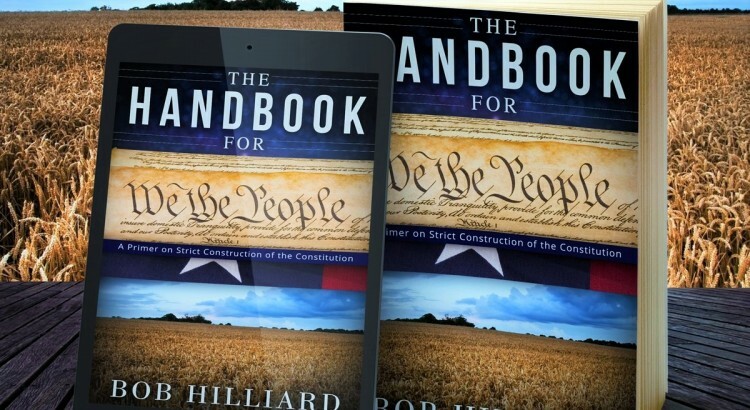 If citizens fail to live up to this responsibility, then eventually the time will come when this failure will result in a government that deems such privileges are no longer to be granted, and all of society falls under the dark cloud of tyranny where our Creator-granted rights are restricted. In all the times you’ve sung/heard that last phrase in the first stanza of our national anthem, have you ever given much thought as to why those two concepts are joined together? 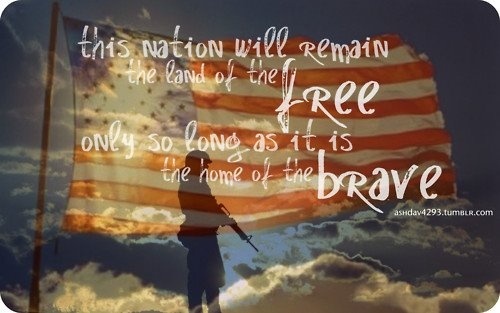 Reflecting back upon this past Monday when we remembered those who gave “the last full measure” to procure and secure our freedom, the inextricable connection between them becomes very clear. We were established to be a land of free citizens through the bravery of a few who sought to make their home in a land of freedom. When those 56 men in Philadelphia pledged their lives, fortunes and sacred honor by signing our Declaration of Independence, they were bravely signing their death warrants in the eyes of the British Crown. It was their burning passion for liberty over their fear of death, as expressed by Patrick Henry, that gave them the courage to sign that document and bequeath to us the freedom we now see slipping from our grasp. But what about the rest of us? Why are we allowing those we elect to represent us to create laws that chip away at our freedom without any accountability or repercussion? Why do we tolerate nameless, faceless, unelected and unaccountable bureaucrats to trample our constitutionally-guaranteed liberties with their unconstitutional acts and regulations? Why do we cower in fear before them when it is they who should cower before us? Is it because we have become too soft – too afraid to stand up and be counted because we fear becoming like a few brave fellow citizens who have and now languish in jail? We celebrate two holidays – Memorial Day, in which we somberly reflect upon those brave souls who sacrificed their lives for us, and another, Veterans’ Day, for those who have and currently serve in defense of that freedom. These men and women bravely left their homes to ensure that our land remains free, and some have returned, not to the embrace of their loved ones, but rather in a flag-draped casket.